Manuscripts should be submitted by one of the authors of the manuscript through the online manuscript submission system. Regardless of the source of the word-processing tool, only electronic MS-Word files can be submitted through the online submission system. Manuscripts not adhering to submission template and guidelines here will be returned to authors without editorial evaluation. Submitted manuscripts adhering to journal guidelines are reviewed by the Managing Editor or an Section Editor, who will assign them to reviewers. The review process is single blind. The Handling Editor / Section Editor prepares a decision letter according to his personal evaluation or the comments of the reviewers, which is sent to the corresponding author. All submission decisions letters of manuscripts are sent within 4 weeks. All manuscripts are expected to be prepared as a single MS Word document with the complete text, references, tables and figures included. 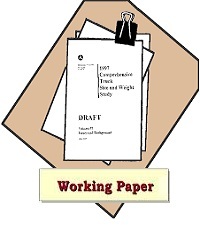 Any revised manuscripts prepared for publication should be sent as a single editable Word document. Paper in any language is acceptable (need to have Title and Abstract in English). Authors (except English language) are invited to provide the names of four well qualified reviewers at the bottom of the submission cover letter. Current e-mail addresses must be provided for all suggested reviewers. Title, author(s), and affiliations should all be included on a title page as the first page of the manuscript file, followed by a 100-300 word abstract and 3-5 keywords. The order they follow is: Title, Authors, Affiliations, Abstract, Keywords, Introduction. All files should be submitted as a Word document (docx.). Articles should be between 3000 and 6000 words in length. This includes all text including references and appendices. 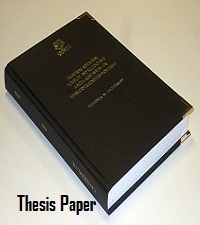 There is no word limitations for thesis submission. After editorial evaluation authors will be informed the thesis word decision. A title of not more than twelve (12) words should be provided. Brief professional biography of each author. Maximum is 300 words in total (including keywords and article classification, see below). 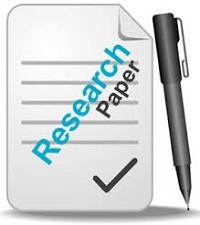 Please provide up to 7 keywords on the Article Title Page, which encapsulate the principal topics of the paper. Headings must be concise, with a clear indication of the distinction between the hierarchy of headings. The preferred format is for first level headings to be presented in bold format and subsequent sub-headings to be presented in medium italics. Authors must declare all sources of external research funding in their article and a statement to this effect should appear in the Acknowledgements section. Authors should describe the role of the funder or financial sponsor in the entire research process, from study design to submission. All Figures (charts, diagrams, line drawings, web pages/screenshots, and photographic images) should be submitted in electronic form. All Figures should be of high quality, legible and numbered consecutively with arabic numerals. Graphics may be supplied in colour to facilitate their appearance on the online database. Tables should be typed and included to the main body of the article (not in a separate file). References to other publications should be in Harvard style and carefully checked for completeness, accuracy and consistency. This is very important in an electronic environment because it enables your readers to exploit the Reference Linking facility on the database and link back to the works you have cited through CrossRef. Surname, Initials (year), Title of Book, Publisher, Place of publication. Surname, Initials (year), "Chapter title", Editor's Surname, Initials, Title of Book, Publisher, Place of publication, pages. Surname, Initials (year), "Title of article", Journal Name, volume, number, pages. Surname, Initials (year of publication), "Title of paper", in Surname, Initials (Ed. ), Title of published proceeding which may include place and date(s) held, Publisher, Place of publication, Page numbers. Surname, Initials (year), "Title of paper", paper presented at Name of Conference, date of conference, place of conference, available at: URL if freely available on the internet (accessed date). Surname, Initials (year), "Title of article", working paper [number if available], Institution or organization, Place of organization, date. Title of Encyclopedia (year) "Title of entry", volume, edition, Title of Encyclopedia, Publisher, Place of publication, pages. Surname, Initials (year), "Article title", Newspaper, date, pages. Newspaper (year), "Article title", date, pages. If available online, the full URL should be supplied at the end of the reference, as well as a date that the resource was accessed. Open Access authors retain the copyrights of their papers, and all open access articles are distributed under the terms of the CC BY-NC, The use of general descriptive names, trade names, trademarks, and so forth in this publication, even if not specifically identified, does not imply that these names are not protected by the relevant laws and regulations. While the advice and information in this journal are believed to be true and accurate on the date of its going to press, neither the editors, nor the publisher can accept any legal responsibility for any errors or omissions that may be made. The publisher makes no warranty, express or implied, with respect to the material contained herein. ABC Research Alert use the CC BY-NC to protect the author's work from misuse. ABC Journals utilizes the LOCKSS system to create a distributed archiving system among participating libraries and permits those libraries to create permanent archives of the journal for purposes of preservation and restoration. More here (http://www.lockss.org/).